AMMAN – His Excellency Dr. Talal Abu Ghazaleh will visit New York to deliver a keynote speech at Columbia University on Sept. 28, upon an invitation by Columbia Arab Students Association, in coordination with Columbia Global Centers (CGC). 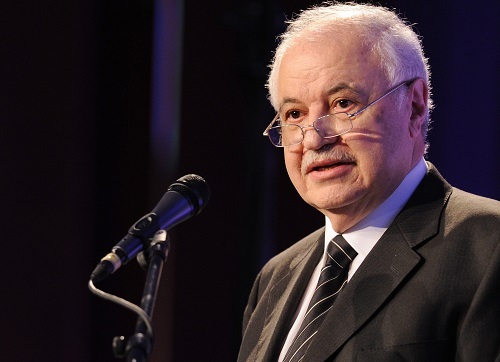 As announced on its website, GCG said Dr. Abu Ghazaleh will talk “about his vision for building a knowledge-based Arab Society by implementing a Marshall Plan of Knowledge for the Arab World”. “Dr. Abu Ghazaleh is a prominent business leader and a visionary contributor to the socio-economic development at the Arab World. He is the founder of the Talal Abu Ghazaleh group, which operates out of more than 100 offices worldwide. He led numerous international and regional successful capacity-building initiatives over the past 45 years in the fields of education and scientific research, youth empowerment, wealth creation through information and communication technologies, intellectual property awareness and job creation opportunities,” according to CGC’s website. Senior Media Advisor and Special Representative for International Strategic Communication at Talal Abu Ghazaleh Group, Mr. Khaled Dalal, said “His Excellency Dr. Abu Ghazaleh’s visit to Columbia University comes after similar ones to Harvard University and to the Massachusetts Institute of Technology (MIT) in Boston last April,” adding that Dr. Abu Ghazaleh will also visit Oxford University in early November, stressing “these visits come in recognition of his prominent social status and notable role in the fields of science and knowledge regionally and globally”.